At DFC, we believe that with the right knowledge, competencies and motivation, individuals can become not only change makers but game changers in their organizations and societies. 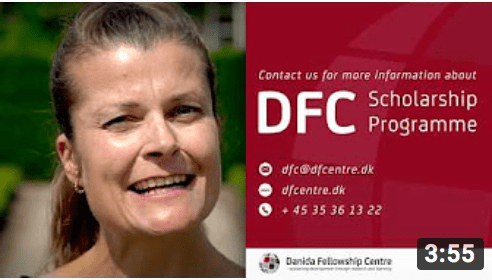 For almost 30 years, we have provided continued education and learning for Danish funded partners in the global South to improve the skills of their employees. And we continue to do so. We collaborate with many different partners, from Danish Embassies and authorities, to Danish universities, university colleges and consultancy houses. Our common aim? To offer high quality opportunities for continued education and organizational capacity development for Danish funded partners. If you have been accepted for a course or study, check out the information under Fellows. more than 190 course providers.